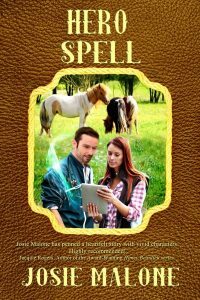 The arrival of Doctor Joe Watkins, a handsome, self-absorbed veterinarian who is also considered a leading authority on equines, makes Audra sit up and take notice. Their reunion is anything but congenial, as Audra orders Joe around like he's a would-be cowboy who just stepped out of a drugstore. But without realizing it, she awakens Joe to his selfish ways and brings him “back” to humanity once more with feelings he’d forgotten he had, and a determination to match her own. Tensions increase, but Joe is set on making Audra his—he needs her as much as she needs him. Sometimes, in the strangest possible ways, dreams do come true!